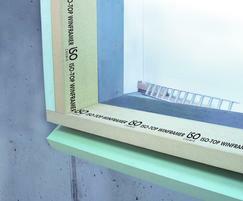 ISO-TOP WINFRAMER is an in-front-of-wall insulation system makes it easy to position and fit windows on an insulation plane. 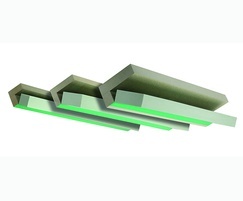 It comprises a load-bearing system angle and a highly thermally insulating core which can simply be moved back out of the way during the bolting process. 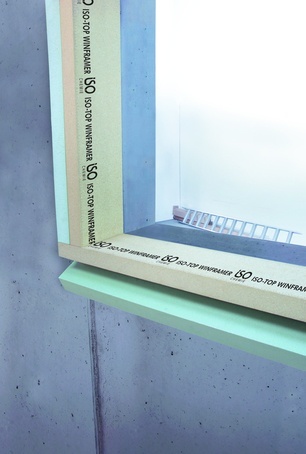 ISO-TOP WINFRAMER is fire-rated to E30 meaning it can protect the entire window area from fire for a minimum of 30 minutes, guaranteeing the retention of structural integrity, as well as supporting at least 200kg/m and providing an air-tight cavity support. 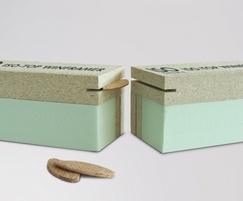 ISO-TOP WINFRAMER is straightforward to install due to its practical hinged mechanism. Suitable for installation and sealing according to RAL "Installation guide"
A selection of new system brackets were introduced to provide increased overhang whenever necessary. 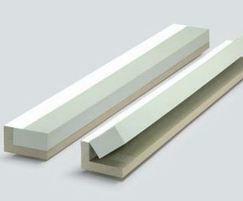 These are available in three sizes: a 80mm wide x 80mm high bracket to fit the majority of UK window sizes and a 140mm wide x 90mm high option for deeper window profiles, or for use with combination products such as roller shutters. A third bracket size (200mm wide x 110mm high) is ideal for reaches from 160mm to a maximum of 200mm, providing a robust, strong and high performance support frame with a high load-bearing capacity that’s capable of supporting heavier window loads as well as bi-fold doors. Installation is quick with windows attached directly and secured mechanically using either standard fixing screws or fixing lugs in the usual manner. 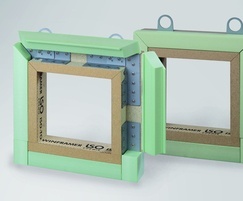 A hinged insulation core combines with the composite wood structural bracket to become an integral part of the overall wall structure, providing compliance with window energy saving regulations (EnEV) and the RAL quality assurance association. 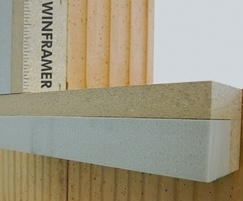 New system boards, available in thicknesses of 30mm wide x 50mm high, 50mm wide x 60mm high, 30mm wide x 80mm high and 50mm wide x 110mm high, are available in a 1,200mm length for additional overhang capacity or incorporation in a front-of-wall installation system.